South Korean emergency services are continuing to search overnight for almost 300 people missing after Sewol ferry carrying 462 people sank off Jindo Island. According to officials, 174 people were rescued from the ship, which was travelling from Incheon Port, in the north-west, to the southern resort island of Jeju. Emergency teams have been using floodlights and flares to search the vessel for passengers into the night. At least six people are thought to have died, with dozens more injured. It is not yet clear what caused the ship to list at a severe angle and flip over, leaving only a small part of its hull visible above water. Rescue efforts are concentrated on the ship’s wreckage, which sank in 30 metres of water. Many passengers are thought to be trapped inside. South Korea’s PM Chung Hong-won, has warned there is not “a minute or a second to waste” in the search for survivors, urging those involved to do their utmost to save more lives. But officials say the rescue operation involving coast guard, military and commercial vessels has been hampered by poor visibility and strong currents. “There is so much mud in the sea water and the visibility is very low,” said Lee Gyeong-og, vice-minister of security and public administration. The US Navy has sent an amphibious assault ship, the USS Bonhomme Richard, to assist with the search. Navy divers have managed to enter three compartments of the ship but have not yet found any bodies. Relatives of the missing have gathered in the town of Jindo, near to where ferry capsized, awaiting news of their loved ones. Many of the passengers on board the ship were school students and teachers from the same school near the capital, Seoul, heading on a field trip to Jeju island. South Korean President Park Geun-hye has expressed sadness over the incident, saying it was “truly tragic” that students on a field trip were involved in “such an unfortunate accident”. Kim Young-boong, an official from the company which owns the ferry, has apologized. “I would like to say sorry to the passengers, which include a number of students and their parents, and promise that our company will do its best to minimise loss of life. We are sorry,” he said, according to the AP news agency. 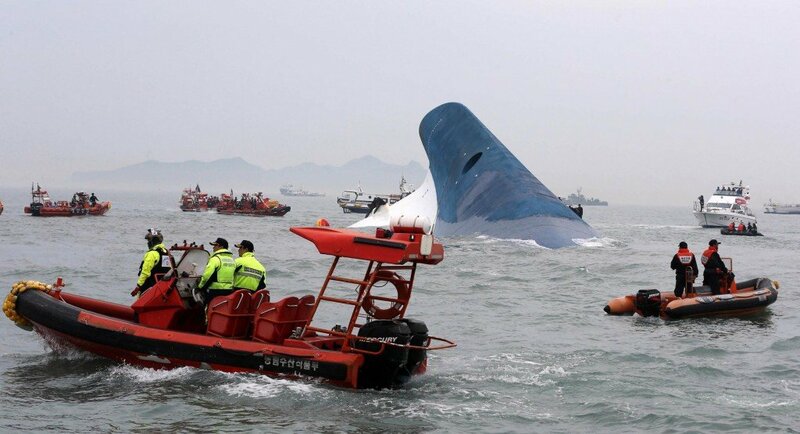 “We will try to determine the cause of the accident after rescue operations are over,” Lee Gyeong-og said.